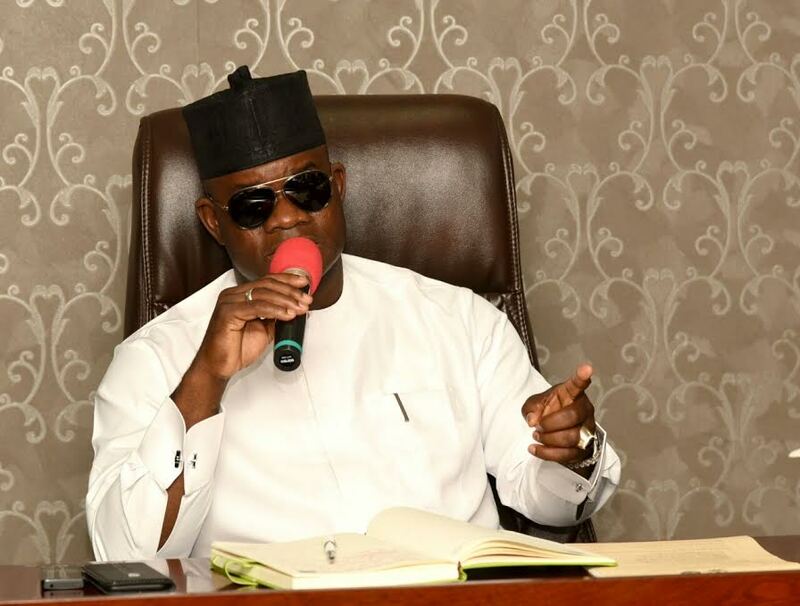 Governor of Kogi State, Yahaya Bello has told his Ekiti state counterpart, Ayodele Fayose, that “nobody has monopoly of stupidity” and vowed to “tame” him at the Ekiti governorship election on Saturday. Bello stated this while addressing the crowd at the All Progressives Congress (APC) mega rally on Tuesday. He said Fayose was lucky that he was not there when he (Fayose) allegedly disrupted a stakeholders’ meeting of political parties on Monday. “Nobody has monopoly of stupidity. We shall tame him on Saturday,” Bello said. “I want to talk, I want to yarn. There are two categories of people I want to address here today. First, the Nigerian youth, secondly, the Kogi citizens that are living in Ekiti state,” Bello said. “Yesterday, we entered into a covenant with Nigerian youth in Ekiti state. When we were coming yesterday from Kogi state, we decided to come by road to address my people. “Our grandfather, great grandfathers, fathers and mothers for over 100 years lived in Ekiti state. And as such, more than 75% of the farm centres are occupied by the people of Kogi state. In fact, it means, wherever we voted, it is surely victory. Exactly the way we did it in Ondo state, we are going to repeat it here in Ekiti state. “We heard that there was stakeholders meeting and there is someone called Fayose, and he disrupted it. Wallahi, he is lucky that I was not there. Anyway, that one is bygone. Saturday, we will send him packing from governance. I will be here with you. Nobody will intimidate you.